My educational journey, completing my Bachelors of Applied Science in Dental Hygiene, guided me back into writing as, long ago and a far away, I was a journalism major. This educational process lit a fire. August 2016, I made a leap of faith to begin a completion degree program at the Community College of Denver. I was old! Like grandma old, in my opinion, at the orientation meeting. I hadn’t written a paper since 1996! We didn’t even have internet access during my dental hygiene program, and no, it wasn’t because lived in the middle of nowhere, it was because the “World Wide Web” was not available at the time. What was I thinking? How could I possibly be successful in school, I am a dinosaur! Very quickly, I had to ditch my negative thinking and move toward my goals. These goals included opening up new doors to expanding my career. 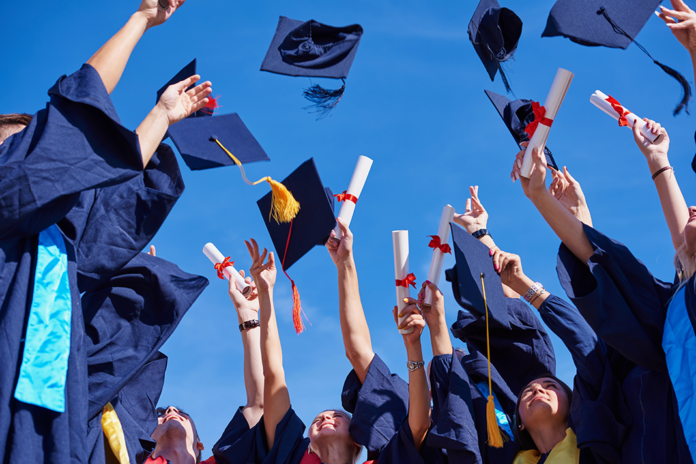 So many times I have heard, “Why would you get a Bachelors degree? 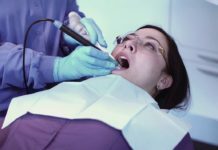 It won’t allow you more pay?” Or, “An Associate’s degree is enough, we have the same education as a Bachelor’s degree hygienist.” Yes and yes. Both statements are oh so true! However, what if clinical hygiene isn’t enough? 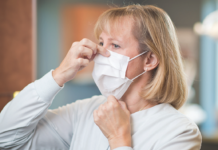 What if your body can no longer handle clinical hygiene? What if your goals have changed since you received your AAS degree or even your BAS/BS degree? So many variables can play into a hygienist wanting to expand their education, whether it is a BAS/BS, Masters, or even Doctorate. Here’s why this journey began for me. One day I was sitting in church and had this epiphany that I should go back to school. I had just done the FAFSA for two of my children and recognized that they were receiving some Pell Grant money… hmm… I bet I might qualify too. What do I have to lose, if I look into it? Nothing. Sure enough, I found that I would receive some financial assistance. At this time, I had no idea that there was a completion program that was just getting started in my area. A colleague and friend had told me about the program, so I looked further into the program and decided this was a no-brainer route to go after. So the whirlwind began. I was accepted into the inaugural class but was choosing to take two years, because that would suit my family life much better. The flexibility offered in this program made it very doable. Another reason I considered furthering my education is that I am not getting younger, and my body was talking to me more than I had ever anticipated. The first semester had its share of challenges, as I was reacquainting with the role of being a student while balancing family and work responsibilities. In addition to all this, I had to learn how to incorporate technology into my studies. Whoa! That was challenging in and of itself. My poor children were over it; they had to help me understand what the heck I needed to do. I fumbled around like a baby deer trying to walk for the first time while putting together power points and writing papers in APA format. What a beast that was! I only knew how to use footnotes from a hundred years ago. Okay, maybe like over twenty years ago. Another shout out must go to a few of my classmates for talking me off the ledge a few times. I am so thankful for my peers, whom I have met through the program; they have been a huge support system to me. It is funny how you can get to know people through an online program. Frankly, quite a few of these people have become an extension of my family because you grow together. After that first semester, the caterpillar metamorphosized into the butterfly who identified with her gifts and talents. The second semester was a huge time of growth. In a Leadership and Growth class, I was asked to complete a personal, professional, and leadership growth plan: each plan showed me that I had hidden potential. A huge amount of pride occurred when I chose to develop a scholarship for my leadership growth plan. The scholarship would benefit students in the BAS program. My instructor and director of the BAS program were thrilled with this idea. From there, the program director and I presented the idea to the Dean of Health Sciences, and we received her blessing to move forward. We then met with the Director of the Foundation for CCD, and he has been guiding my Director on how we can implement our idea properly, by complying with the foundation rules. Currently, this project is stalled; however, my Director has asked me to incorporate this into my upcoming internship project so that we can get it off the ground. More tears were shed over the next semester’s statistics class; one of the hardest classes I have ever taken. It sure was a happy moment when I received a B in the class after studying 13 hours for the comprehensive final. My oh my, how did I survive? I know how; I was also taking Research Methodologies. This is where my writing skills became polished, and the desire to become published was at the forefront of my mind. 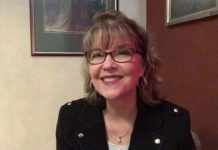 Who wakes up one morning, after over twenty years in dental hygiene, and says, “Hey, I think writing can really be a gig for me; I want to publish?” I can tell you, over two years ago, that would not have been me. I am proud to say I had my first article, Hearing Loss in Dentistry: A Silent Topic, published in January 2018, in Today’s RDH. How did this come to fruition, you ask? School and expanding my education happened. Without the push in my completion program, my gift of writing surely would not have re-launched. It is so easy to leave our dental hygiene programs, not look back, and not to go for more education and knowledge. We are burned out, right?! 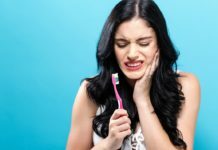 Being stagnant in your dental hygiene career does not have to be an option. I was stagnant while raising my young children; a hamster on a wheel, working, running kids to events, household chores… yes, we all know this routine. It’s just what we do. When this happens, we forget to invest in ourselves and our futures. Now that I am investing in myself and my future, I cannot believe what I have been missing out on as a hygienist! I am so much better for my patients. Yes, I just said that! I will NEVER EVER discount my AAS degree; it served me very well for over twenty years. However, I feel that my BAS education has ignited my critical thinking skills. It has shown me how to be a better provider for my patients, especially with my approaches in communication and obtaining additional information through continuing education. This past year, I have attended more CE courses and networking events due to the new fire I have for my dental hygiene career. While finishing my final semester, I taught a dental hygiene class to first-year students in Pharmacology, focusing on bisphosphonate, immunosuppressant, and antineoplastic medications. One of my peers said, “I didn’t choose Pharmacology because it was hard for me in school.” For me, I didn’t choose Pharmacology because it was easy. I chose it because I wanted the Director of Dental Hygiene to observe me and give me feedback. I also wanted another challenge; Pharmacology is hard! I had to study to develop my lesson plan with pertinent information. The pay off for challenging myself with the topic of Pharmacology was tenfold. The instructor shared tremendous feedback that will benefit me on my path towards becoming a dental hygiene educator. She also gave me positivity; she truly is a mentor, as I feel she wants to see students in her program succeed. I cannot begin to explain how exciting it was to be the leader of the class. The students were awesome. 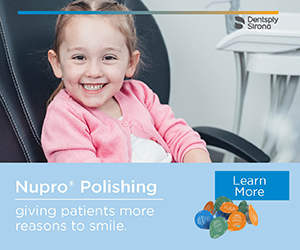 It is similar to working with patients; when you see “the light come on” when teaching a new oral hygiene method or see a periodontal patient achieve a stable periodontium. The rewards are countless. Now, do not be fooled, teaching is not a walk in the park. However, I am able to recognize that it can enhance my dental hygiene career in new ways, never before understood. As I write this, I am about to begin my final eight-week course, an internship. The internship will require me to develop a program, similar to a business plan. My instructor, who is the Director of the BAS program, has asked me to consider my leadership growth plan, developing the scholarship, as my internship project. I am hoping to incorporate it and my Hearing Loss in Dentistry: A Silent Topic research, to develop a plan that will serve many people. When I make this comment, I do so with a future goal in mind. My goal is to have my efforts on the leadership growth plan, and my research on hearing loss, to be considered for certification for presenting a continuing education course. This became a thought earlier this year when I saw the overwhelming response to my published article. I feel people need this information; people like my boss, who has hearing aids. People like me, who are noticing effects with their hearing after twenty-two years in the industry. People like the students I taught, who have no idea what this career can conjure up in the future. I can be a trailblazer! Trailblazing is exactly what this journey has been. It has been an enlightenment of who I am and who I can become. Unfortunately, I became complacent in my career. Thank goodness I had the wherewithal to take a chance on myself and invest in myself, my career, and my future. I can’t be happier that I have chosen this path. It has not been easy but has been extremely fulfilling. If you have ever thought, “I should go back to school, but…” Give yourself a chance to at least explore your possibilities. I had a patient say to me last summer, “It is the things you don’t do that you regret the most.” I may even try for a Masters in Education. I’m choosing no regrets and you should too, you are worth it! Previous articleAsk Kara RDH: How to address patients who are routinely late? 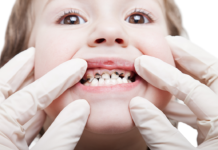 Angela L. Grover, BASDH, has been practicing dental hygiene since 1996. 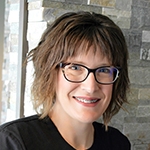 Angela received her AAS in dental hygiene from Central Community College in Hastings, Nebraska in 1996; she received her BAS in dental hygiene from Community College of Denver May 2018. Angela is a dental hygiene educator at Iowa Western Community College, where she is actively involved in community implementation projects with her students. In addition, Angela and her students volunteer for Nebraska and Iowa Mission of Mercy outreach clinics, as well as an outreach called One World, where they provide care a few times a month through Creighton University’s School of Dentistry to patients in need. Angela is a member of ADHA. She lives near Omaha, Nebraska.